Activist turned politician Arvind Kejriwal on Friday moved his gun point on other big companies and politicians for keeping black money in foreign banks. 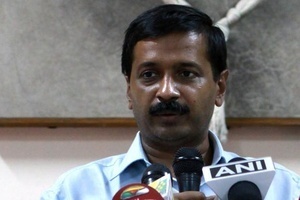 In a press conference held in Delhi arvind said, ‘well known companies like Jet airways, Dabur and reliance have accounts in HSBC bank’s Geneva branch. During press conference arvind gave details of every person involved. He targeted Mukesh and Anil Ambani, Congress MP from Unnao Annu Tandon, the Dabur family and Naresh Goyal,founder of Jet Airways, alleging that they held accounts in HSBC Bank. Mr. Activist also accused the HSBC bank for being involved in money laundering and asked government to take strict action against them. He raised questions about President Pranab Mukherjee, who, as Union finance minister, planned amnesty for all 700 Swiss account holders. Arvind has also declared that IAC will protest against them. Protests will take place in front of residence, offices, companies of accused persons.